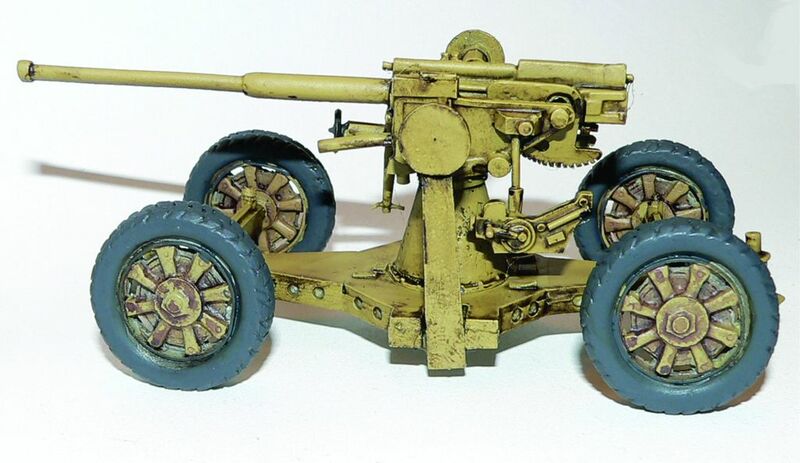 Changed title from "Italian 80/53 gun in 28mm" to "Italian 90/53 gun in 28mm"
Italian army of the ww2 receives the reinforcement of a gun of 90/53 in 28mm. CompanyB offers it towed and deployed. A *very* good gun, equal to the German 88. Though I prefer the self-propelled version on the Semovente tracked chassis.